The first look that I put together is my favorite, probably because it features one of the best things in the world... leopard print! I wanted to go for a crazy, 80s, acidic style leopard. 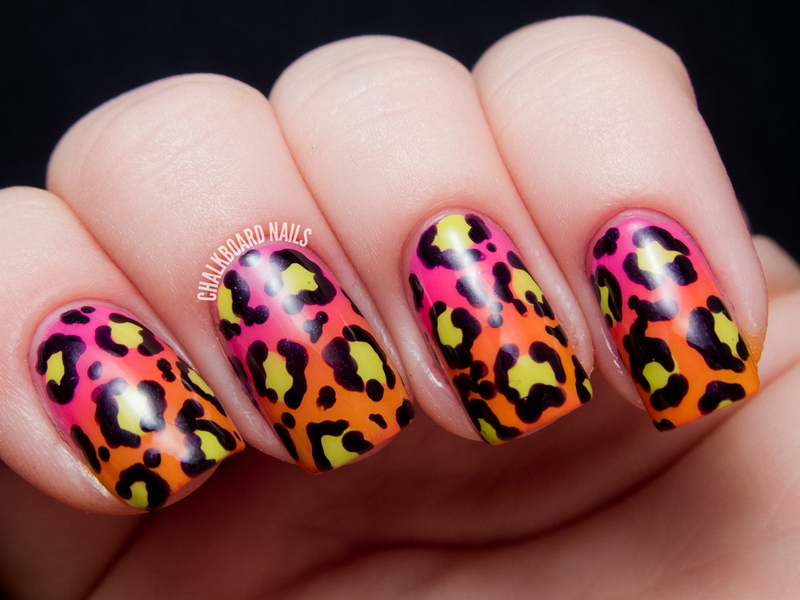 For the matching nail art, I put together a classic gradient leopard. The base is a gradient of China Glaze You Drive Me Coconuts and OPI In My Back Pocket. The middle of the leopard spots are Nicole by OPI Sweet on Pete and the leopard markings were done with Illamasqua Baptiste. 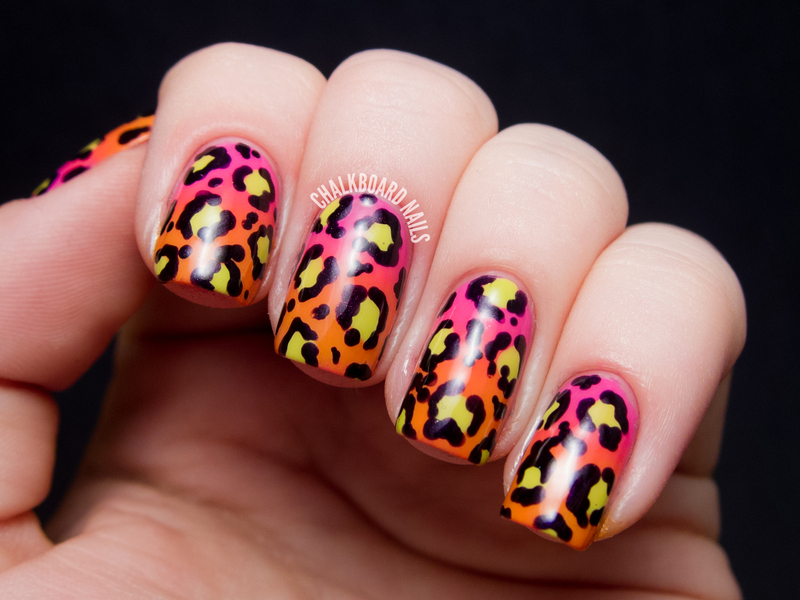 For those of you looking to try out a leopard print, be sure to check out my leopard print nail art tutorial! For my second look, I wanted to go for a more classic makeup look while still retaining a very stylized effect. I think this icy blue mixed with copper and jade is just the right amount of crazy. 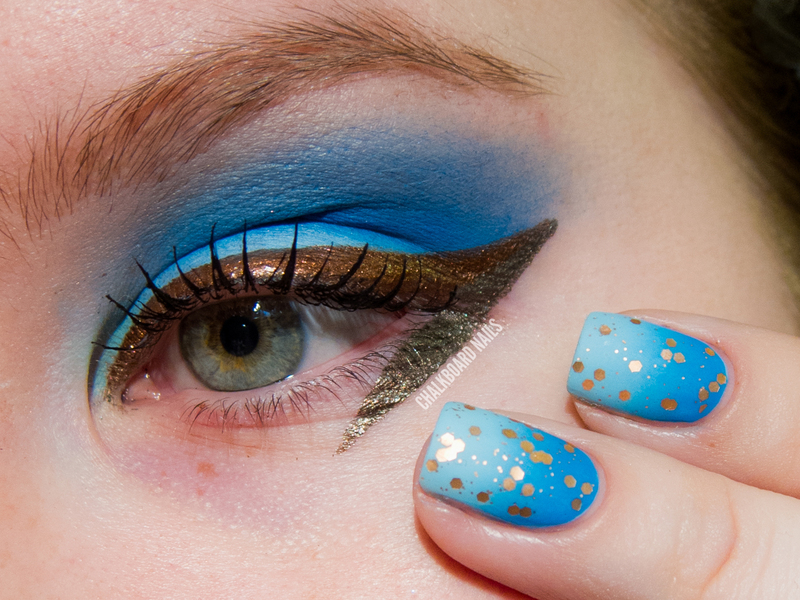 And finally, the nail look I created to match this icy blue eye makeup. The base is a gradient of OPI What's With the Cattitude? and OPI Ogre the Top Blue. After that was finished, I added one coat of Sephora by OPI Traffic Stopper Copper, a delightful copper glitter that had gone unused in my stash for much too long! The final stop was to add one coat of OPI Matte Topcoat to mimic the matte eyeshadow. If you've made it this far, thank you! If you are so inclined, you can show your support for me on Refinery29. The winner gets to spend a weekend in Paris - how incredible would that be? EDIT: I've recently learned that there was some confusion about the contest and that the winner will actually be determined by a panel of judges. The votes are used to show support for your favorite entry. Thank you all so much for your support! It wouldn't let me vote again LOL! Very cool - GOOD LUCK! Both looks are stunning, I've voted for you! Haha, show me a pic of the outcome! Thanks for your support Sheila! Both looks are very beautiful! Good luck! I've never commented but now i have to : it's beautiful ! 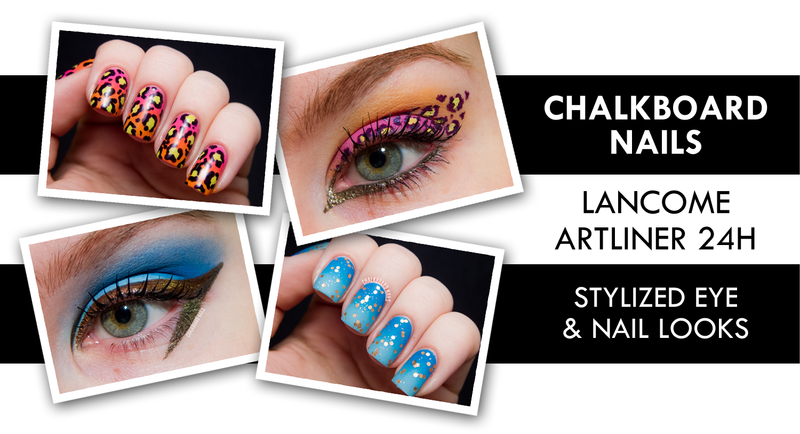 love the two looks be the eye or the nail ! Of course, i voted for you ! Me encanta. Es un estilo diferente y hermoso. Exito y suerte. Thanks! Liquid liner is so tricky sometimes. I've been using it since high school so I thankfully I had a little bit of practice... and my steady hands from doing nail art can't hurt either! I appreciate the support!! I had a hard time choosing which one I liked best, too. I think I actually prefer the eyes on the leopard look but the nails on the ice and dagger look! Haha aw I doubt it! Thank you Sarah! Ahhhhh these looks are soooooo good! 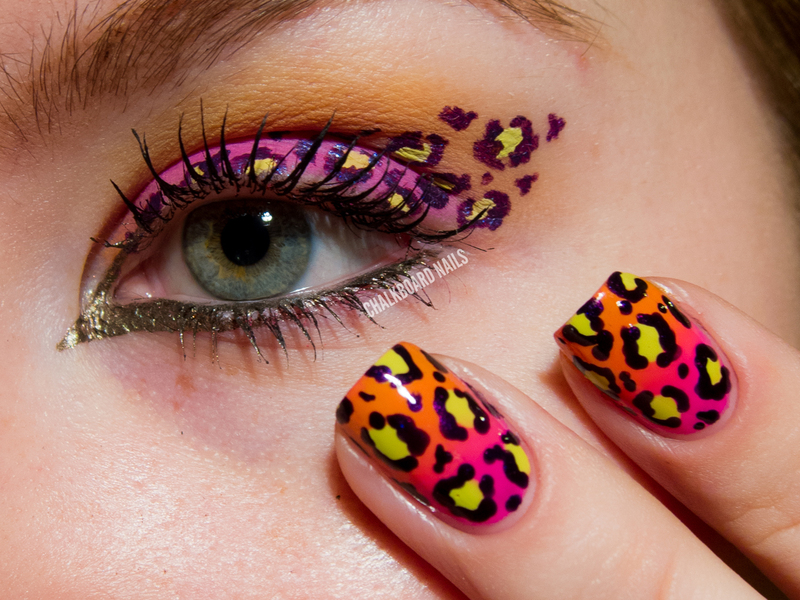 I especially love the leopard print makeup, it's so fun! Prefer the leopard print design. They are both stunning! Wish I could vote more than once. Best of luck! Thank you so much, I'm having fun experimenting! Aw thanks, that means so much coming from you! Oh my wow! You're an eyeliner whiz. You should do looks like that and post them too, I'd definitely be interested! Thanks Victoria! I think I have to agree with you on the favorites! SO gorgeous! I really love the blue nails, the matte top coat looks awesome on those! I love matching my nails and makeup too! LALALAALALALALALOOOVE the look with the dagger line and Blue eyeshadows! So beautifully executed! 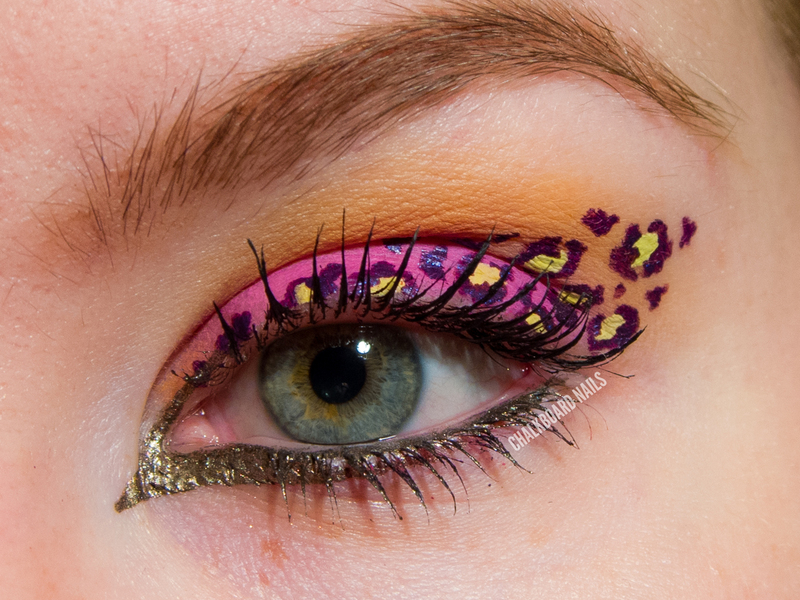 the leopard eye makeup is awesome. voted for you.good luck! It's so fun -- interesting to try to translate one look into the other! I wish they had chosen it to represent me in the contest, but that's okay! Thanks for the vote! Thanks Amanda! I have been steadily improving with makeup... definitely wasn't always at this point (can you say shaky liquid liner?). I voted for you! And honestly, your design is the best one. Wish the leopard one had made it (how did it not!?) It's amazing!!! I had already taken a look at this post and I must say, seeing it the second time doesn't make it any less interesting! 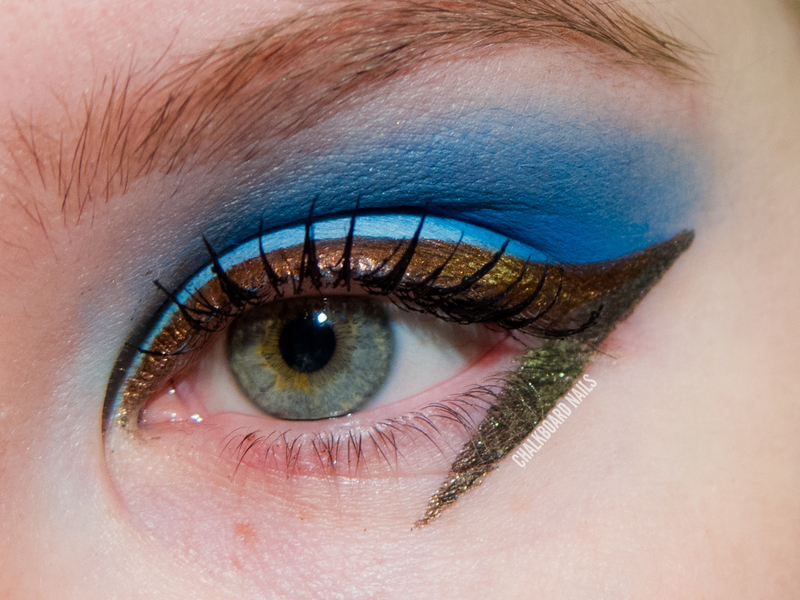 I la-la-love the make up looks and that blue gradient WILL be copied at some point ♥. Voted for you just to show support, may I suggest you use concealer? It will look even more awesome! Is this still on? Im going to vote!